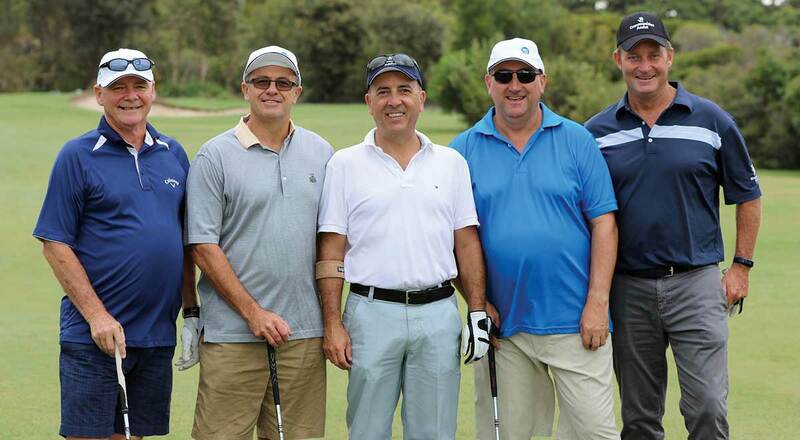 The insurance industry came out in force on 18 March 2016 to support the Emjay Insurance Brokers Charity Golf Day held at the stunning St Michael’s Golf Club at Little Bay. Now in its sixth year, the Charity Golf Day has become a must-attend event on the insurance industry’s annual calendar. This year more than 100 of our friends, clients and colleagues took part in the day, raising a staggering $30,000 for Communities Assist. Established in 2006, Communities Assist works to improve the economies and welfare of communities in Sub-Saharan Africa devastated by the AIDS epidemic. One of the charity’s primary roles is to support a Tanzanian orphanage known as Kili Kids. The region has an estimated 13 million orphaned children due to AIDS and projects like Kili Kids help make an incredible difference to young lives. The orphanage sits on a two-hectare plot of land known as Rainbow Ridge and is home to boys and girls aged between the ages of three and 17. Previously a patch of barren land, thanks to funds raised through Communities Assist, it is now bursting with life. Its gardens are filled with vegetables and fruit trees, and there are animal enclosures for cows, goats, chickens and fish. It offers a way of life for these children that would otherwise be unattainable. Being able to make a difference to the lives of these children is an incredibly humbling experience – and that’s why the team at Emjay are so grateful to everyone who supports the Charity Golf Day each year. It’s always a great day, filled with networking, fun and laughter. But more importantly, the money raised enables Communities Assist to fund projects like Kili Kids and make a real difference in the lives of children in need. The Emjay team would like to thank everyone who so generously supported the Charity Golf Day this year. Thank you to the industry, participants and sponsors for demonstrating such an awesome spirit of generousity. We’ll be holding our charity golf day again in 2017. If you want to join us for all the fun next year, simply email info@emjayib.com.au and we’ll keep you up to date with all the details. If you would like to support the work of Communities Assist, you can make a donation here. Happy 30th Birthday Emjay Insurance Brokers!